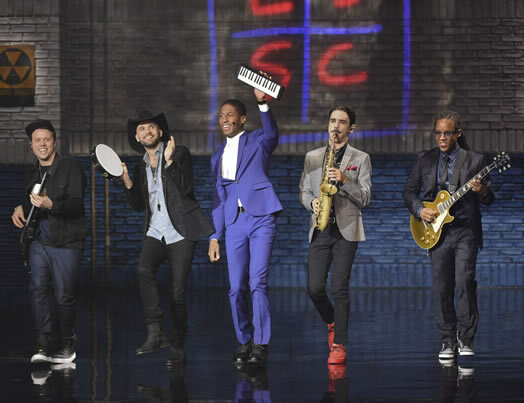 Since last fall, Local 802 member Jon Batiste has been the music director and bandleader for the Late Show with Stephen Colbert. Below, from left, Local 802 members Michael Thurber, Joe Saylor, Jon Batiste, Eddie Barbash and Louis Cato. The engagement is covered under an AFM union contract. If you’re playing under a union contract and you’d like to be considered for an Allegro photo op, e-mail allegro@local802afm.org with your details.